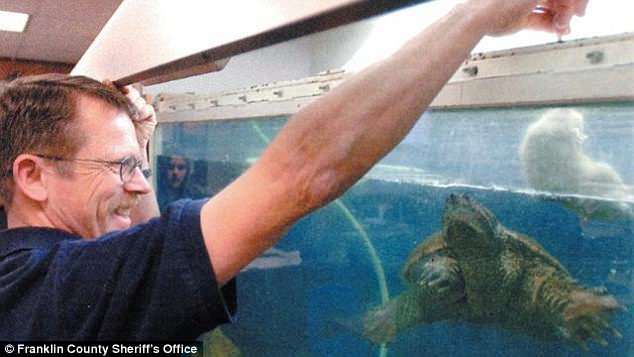 An Idaho teacher who fed a sick puppy to a snapping turtle in front of several shocked students has been found not guilty of animal cruelty. Preston Junior High School science teacher Robert Crosland was charged with misdemeanor animal cruelty in June. Witnesses testified the puppy swam around before it was dragged to the bottom of the tank by the snapping turtle and became unconscious. 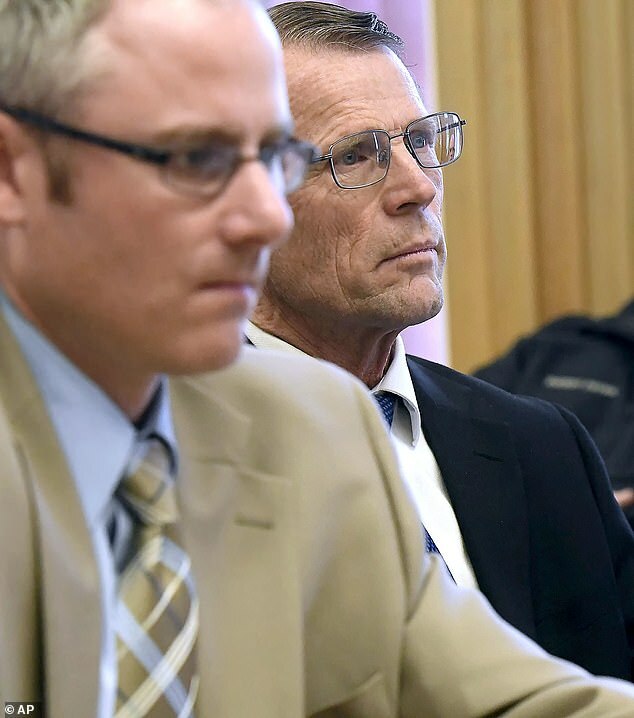 But a jury found him not guilty of animal cruelty after his defense attorney did not dispute the claims but argued ‘we don’t believe a crime was committed’. Crosland had argued he was ‘putting the puppy out of its misery’ in an interview with investigators. Prosecutor David Morris said the incident occurred after normal school hours with four students present, WTVR reports. One student, 14, said he played with and touched the ‘small, cute’ puppy which ‘looked like a lab’ before Crosland is said to have first tried feeding it to a snake. The teen said he moved it to the turtle’s tank when the snake did not eat it. Students said the puppy ‘wasn’t doing its best’ and that you could see its ribs. Superintendent for Preston schools, Marc Gee had said in a news release that his administration became aware of ‘a regrettable circumstance involving some of the biological specimens’ on March 7. 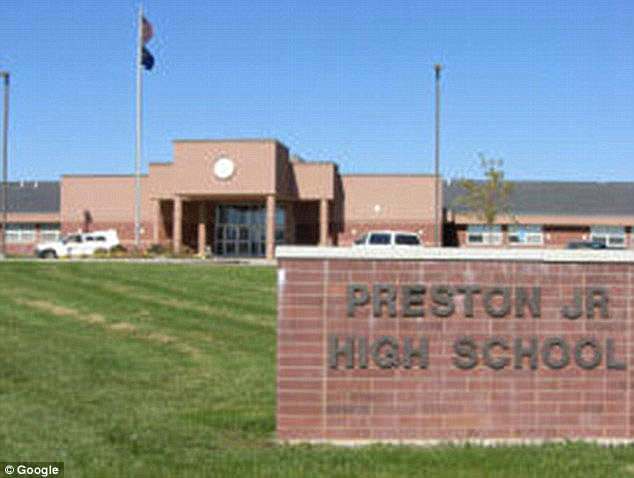 The school is in rural Preston, Idaho, where the 2004 teen cult classic film ‘Napoleon Dynamite’ was set. 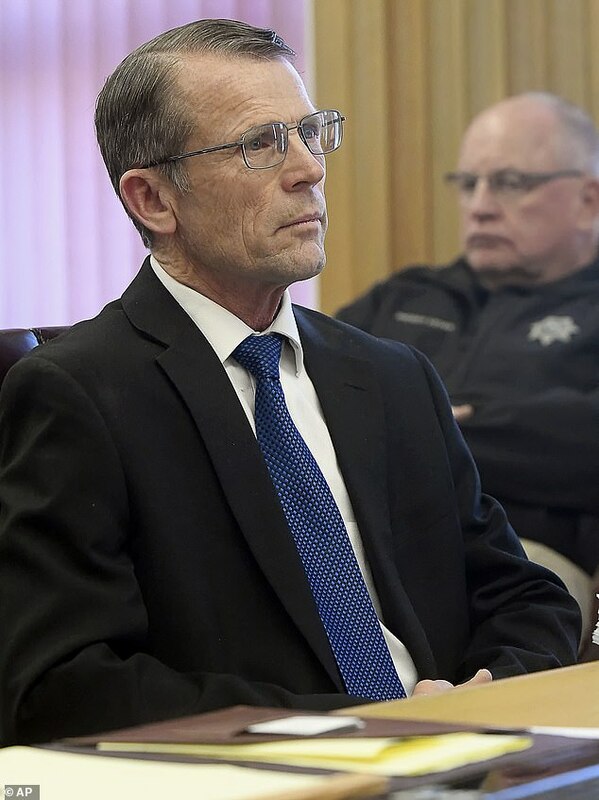 The state’s attorney general’s office handled the investigation after Franklin County Prosecutor Vic Pearson cited a conflict of interest. Following the incident, state officials seized the turtle and euthanized it as a non-native species. The incident had drawn national criticism against Crosland with a petition to have him fired circling the internet, garnering more than 243,000 signatures. 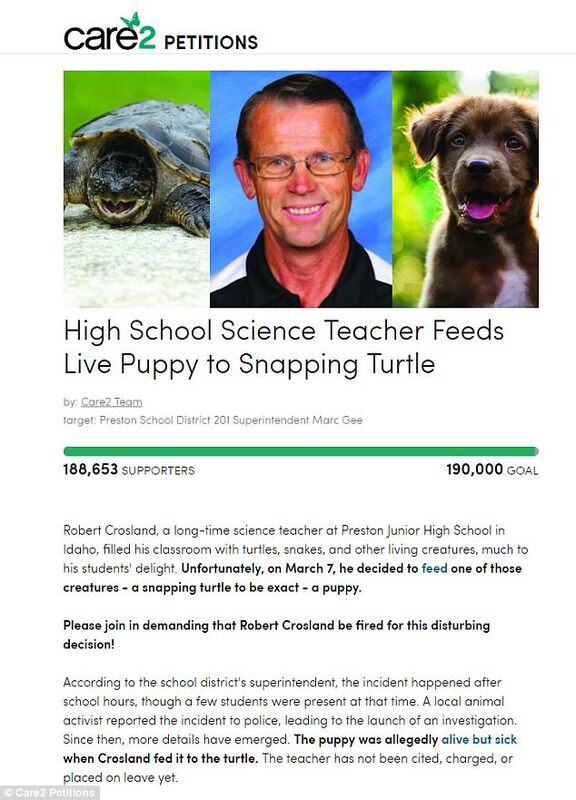 ‘Unfortunately, on March 7, [Crosland] decided to feed one of those creatures – a snapping turtle to be exact – a puppy,’ the petition read. ‘Please join in demanding that Robert Crosland be fired for this disturbing decision!’ the petition reads. 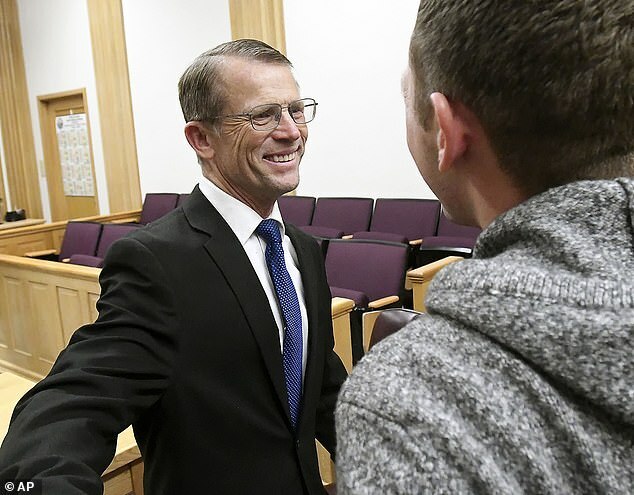 A counter petition signed by community members, former students and current colleagues expressing support for the long-time science teacher has accumulated roughly 4,000 signatures, the Statesman reported.